Not to brag, but I've discovered quite a lot of things lately. The best discoveries come to you when you're not really looking. When you're busy enjoying life's little wonders or simply going with the flow. Yesterday wasn't the best Sunday in recent memory and I coped the way I usually do - by escaping. 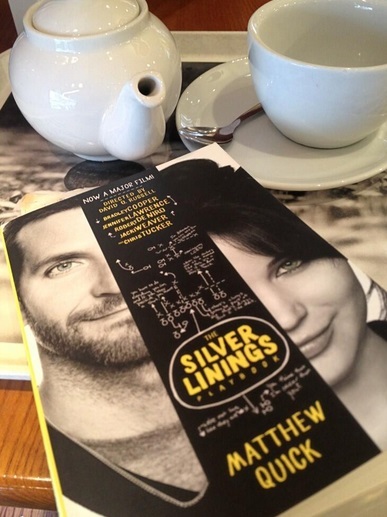 I fled to a coffee shop with a green tea and my copy of Silver Linings Playbook which is just as wonderful in book form as it is as a movie. I would dare to say this book and film are life-changing. Read and watch. I've also discovered that turquoise is my favourite colour. I love it so much I even re-bought this turquoise nail polish after accidentally smashing my almost-new bottle into the floor of the hotel bathroom on holiday. I never know if it's the right time for such a summery shade on my nails: what if it will start raining and snowing again and I'll be the spring-hopeful loser with turquoise talons. 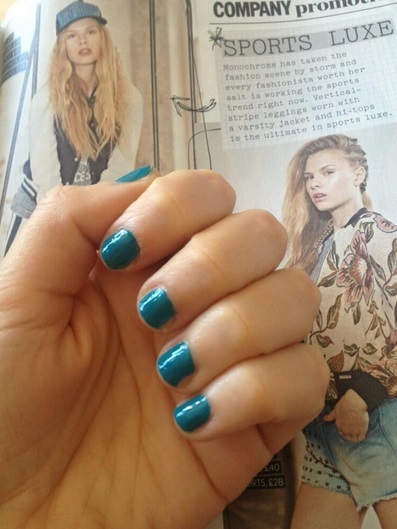 But this Saturday seemed like a neon nail polish day. After a lovely day walking around Brick Lane, Shoreditch and other lovely London areas with some friends, we ended up in the beautiful Islington area - I have always said that I wanted to live there, so it's not a discovery. The discovery was the lovely Vineyard pub - absolutely gorgeous, so much that I felt it was a pity that I'm in Sweden for my birthday. 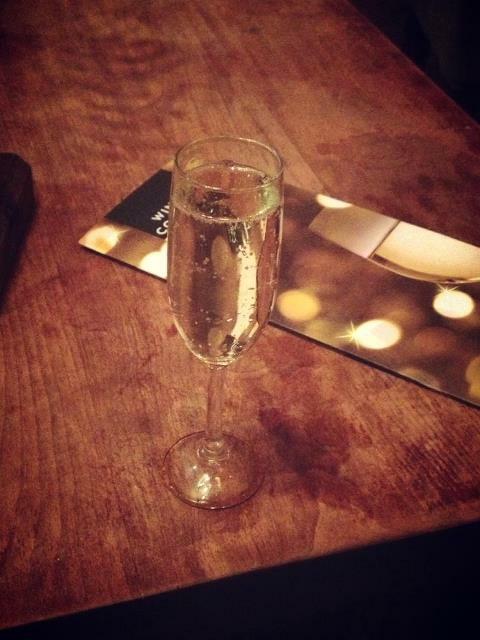 And a glass of Prosecco for only £3,65? Yes, please! 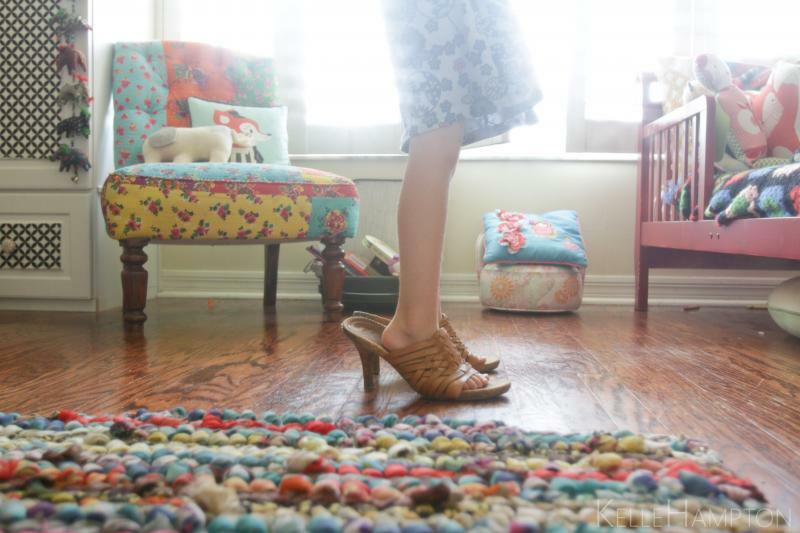 I have discovered Kelle Hampton's blog and love it, even if it's mainly a mummy blog and I'm as far as you can get from being a parent. 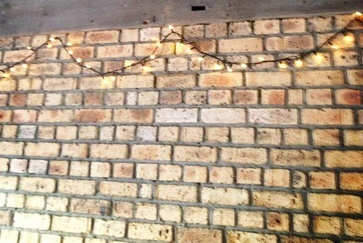 I have discovered that what I really want in life is to live in a place with a brick wall decorated with Christmassy LED lights. I have also discovered what a blueberry coffee is. Both these things were discovered at Fika, London's Swedish café. 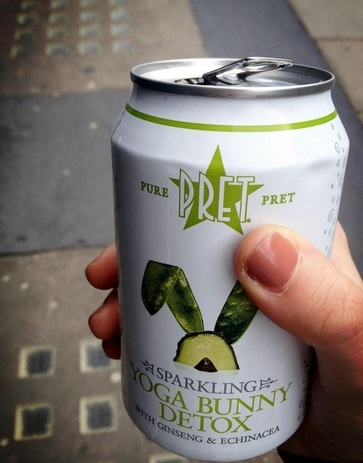 I have discovered Pret's Yoga Bunny Detox drink and it's The. Best. And this isn't really a discovery, but it's new: the brand-new 30 Seconds to Mars video!! Could I be any more excited? I'm like a fourteen-year-old screaming fan. There are few passions of mine that rival my love for this band. All pictures by me (except the one from Kelle's blog). Vero? ;) significa "merenda" in svedese! maaaaa, che voglia di stare lì!!! nostalgia per il mood londinese!! !